…Specifically, it’s closing in just over a couple of weeks, on the 25th of November. So you should probably head over there while you still can. 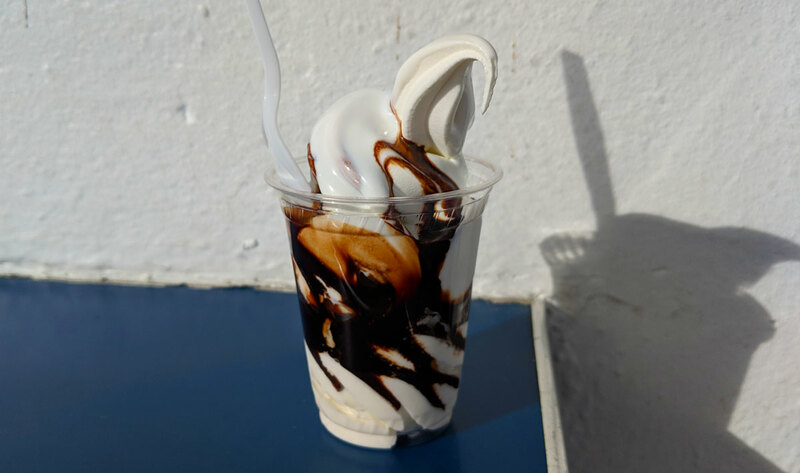 Yes, it’s starting to get a bit chilly outside, so an ice cream joint with no indoor seating probably isn’t too high on your list of priorities. But delicious is delicious — cold schmold. I just tried the Jack and Jill sundae, which features vanilla soft serve topped with chocolate and marshmallow sauces. The soft serve was as creamy and tasty as ever, and the chocolate/marshmallow combination is a clear winner.